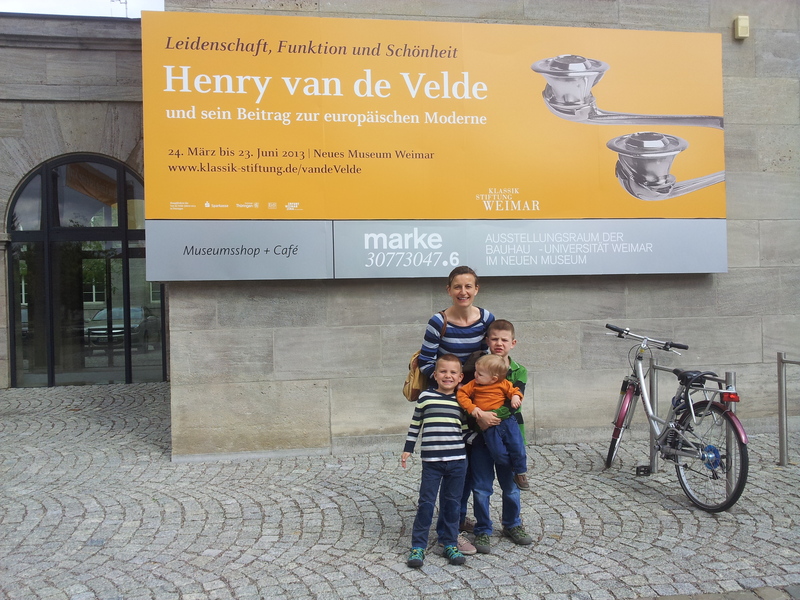 On Saturday, my family and I discovered the work of Henry Van de Velde, one of the originator of the Art Nouveau style. As a matter of fact Van de Velde was a Belgian architect, painter and interior designer who spent most of his life in Germany and especially in Weimar. He lived in a house right up the street where my present school is located, in a house he built for his family once it had grown to seven people. The house is called House Hohe Pappeln (Lofty Poplars) and was a a popular venue for artists and art lovers. When Van de Velde sold the house after the first world war, all he received for it in real terms were 2.20 guilders because of the galloping inflation in Germany. The house has been restored since the German reunification and is open to the public. 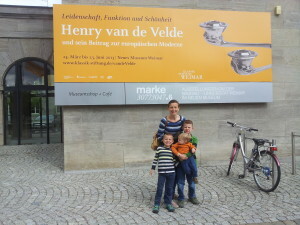 The exhibition we saw on Saturday is to celebrate the 150th birthday of Van de Velde who came to Weimar in 1902. It was impressive to see all the work he designed from buildings to furniture. We could easily imagine that people could live in an art nouveau-inspired house with art nouveau furniture, silverware, crockery, jewellery, cigarette cases, etc… If you understand German or wanted to practice it or even wanted to use it in a German class, the web page about the exhibition has included the audio guide with the pictures of each object, which you can listen to from the comfort of your home.